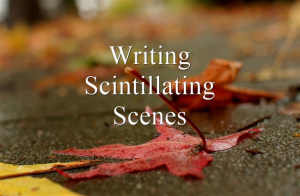 This blogger wrote multiple posts about writing scintillating scenes. Here’s the first one. It’s a worthwhile read with helpful information. Enjoy! Simply put, a scene is action! Scenes are text passages, including narrative, meant to focus on an event in the story, sometimes slowing it down, so that the reader is “in the moment.” The readers join in the scene along with the characters in action. Drake’s fingertips burned from tapping on the typewriter keys all night. With every keystroke, the hands on the clock moved faster. He only had six hours until his plane departed. Six hours to plead his case. After that, it would be too late. This is interesting. Just goes to show that there is no right or wrong way to begin writing. Every writer has their own style. What is your preferred writing tool? My secret weapon is using a two screen layout for my PC. This allows me to work on the story on one monitor, while researching on the other. If you’re curious as to what writing tools great authors prefer, you may refer to the excellent infographic below, which was prepared by Robert Morris and the lovely people over at NinjaEssays.com. So, what is your favorite tool? Does life get in the way and prevent you from getting in the writing time you desperately need? If you’re anything like me, this is a daily struggle. Here are some tips to help you squeeze more writing time into every single day. via Five Ways to Squeeze More Writing Into Every. Single. Day. Check out my interview with the amazing Rachael Ritchey. 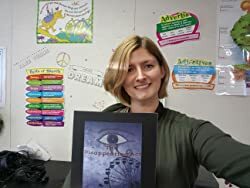 I’m excited to introduce you to Roxanne Walker, fellow teacher and author of The Disappearing Act. Roxanne, can you tell us a little bit about yourself? “I grew up in the carnival, which was the family business. After graduating I went to college. After which I got a job teaching English in South Korea which compelled me to pursue my Masters in Education upon my return. I have been teaching English ever since. Let’s take a look at Roxanne’s book, The Disappearing Act. Zoe is just your average teenage girl expecting another average, hot, boring summer working the family business, a traveling carnival business that is. It’s all fun and games, until her friends start to disappear. In order to save them she must accept her telepathic powers and help catch the kidnapper before it’s too late! Review: What a fun little book! It has all the things you want from a book! Mystery, mayhem, crazy kidnappers, and telepaths! I really enjoyed the characters in this! I also loved the background setting of the Carnival/Fair. Roxanne knows all about this stuff so it was a real treat to learn more! Giving this 4/5 definitely recommend if you’ve got a kid in your life that’s looking for an adventure! 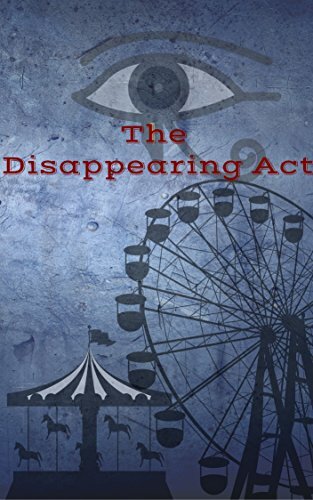 The Disappearing Act is available for purchase through Amazon. Roxanne is also working on the Mysteries at the Museum Series. Here’s a little sneak peak: Kai discovers someone is stealing artifacts while doing her internship to learn more about her heritage. Soon she makes the connection between the missing artifacts and the pipeline going through the Navajo reservation. Hopefully, she can expose the truth before her heritage is destroyed. Mysteries at the Museum it’s scheduled to be completed by April 2018. To learn more, visit Roxanne’s Amazon author page. You can also connect with her through Facebook and Goodreads. Four ways reading makes you a better writer. Check it out. This week has been a fairly good writing week, and I’m feeling very positive about it! There’s no doubt at all that one of the reasons I’ve done so well is because I’ve read some brilliant books recently, and it’s made me want to get on and write mine.